Get in touch. Our experts are ready to help with anything you need to know! Seen a better price elsewhere? Let us know and we’ll do our best to match it. Buy safe through an official Authorised UK Dealer. Apply for finance on eligible products by clicking the divido button, or call us to discuss the options. If you have seen a better price but would rather buy from a trusted UK based authorised dealer, then please get in touch and we will do our best to match or beat any genuine price quote. Free UK saver delivery on all our products. Rubix 24 offers a perfect balance of high-fidelity sound, solid build quality, compact size, affordable price, and crucial features for today's musicians and producers. With support for high-resolution audio up to 24-bit/192kHz, Rubix 24 sounds clear and defined and is carefully engineered to have extremely low noise from input to output. Its near universal USB support means it works seamlessly with Mac and PC computers, and even supports iPads, for the ultimate in portable music production and performance. 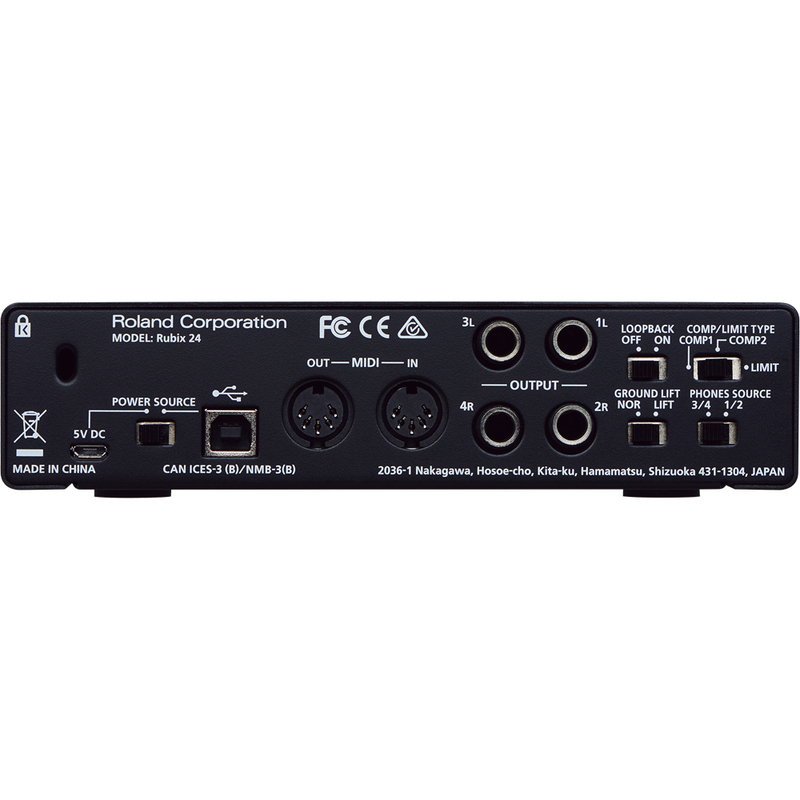 Nothing is more important than sound quality when it comes to audio interfaces. And you shouldn’t have to sacrifice sound quality to have an affordable interface that you can take with you. 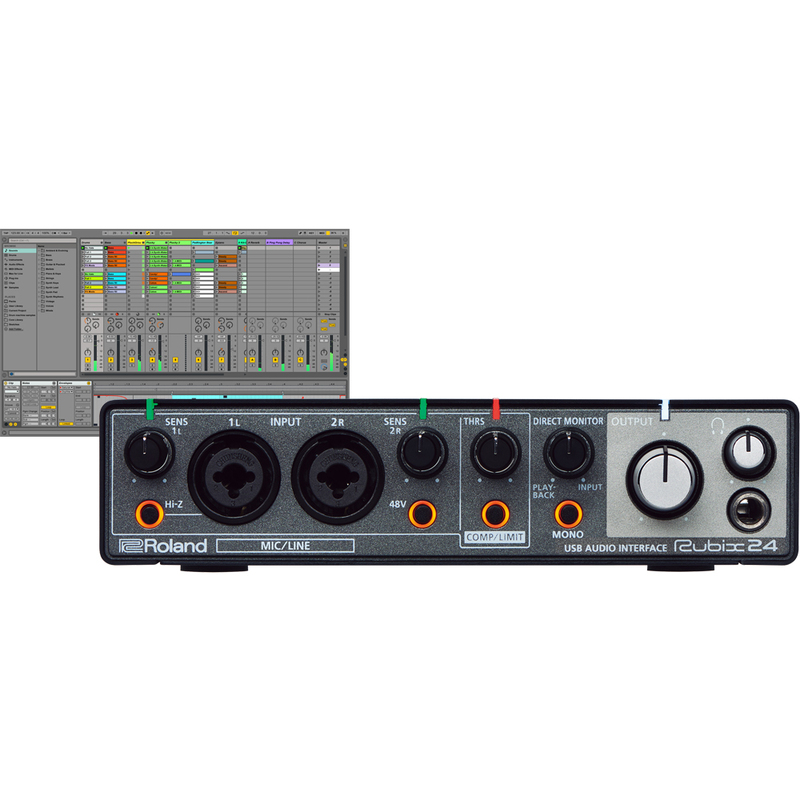 Rubix 24 sounds clean and detailed with transparent, low noise mic preamps and supports audio resolutions up 24-bit/192kHz. It’s made of durable metal, and a lot went into its compact, low-noise design. With all the places Rubix 24 can go, you’ll appreciate its extensive shielding and ground lifts, making sure you get good clean audio just about anywhere. 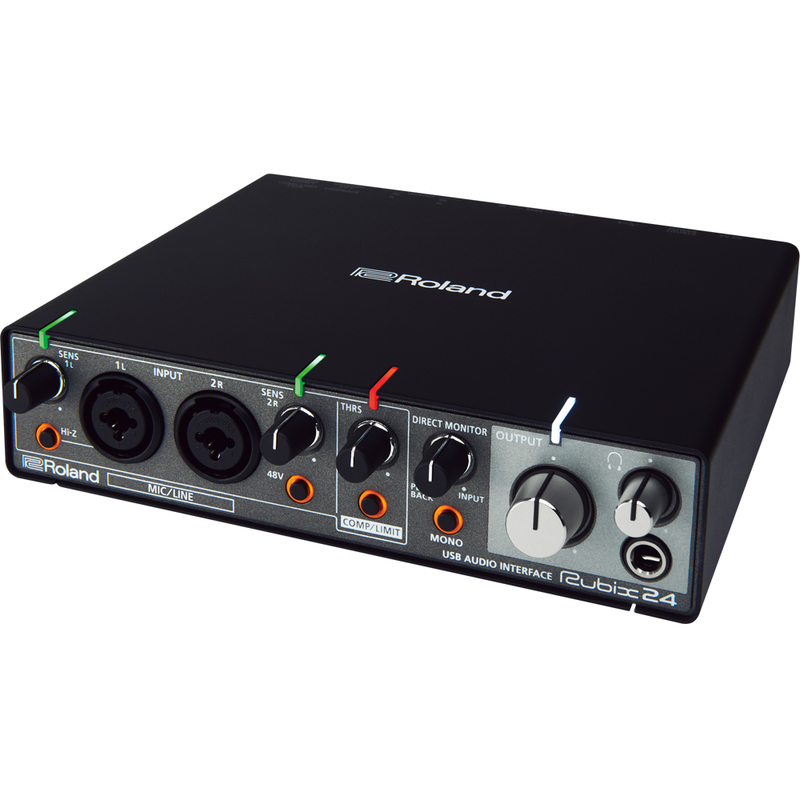 Rubix 24’s dual microphone preamps are designed for low noise and high definition. They sound clean and transparent with plenty of headroom for capturing all the impact and detail of whatever you’re recording. And the flexible combo jacks mean you can easily connect a wide variety of sources without the need for adapters or special cables. Four individual outputs mean you can create more sophisticated routing and monitoring setups. 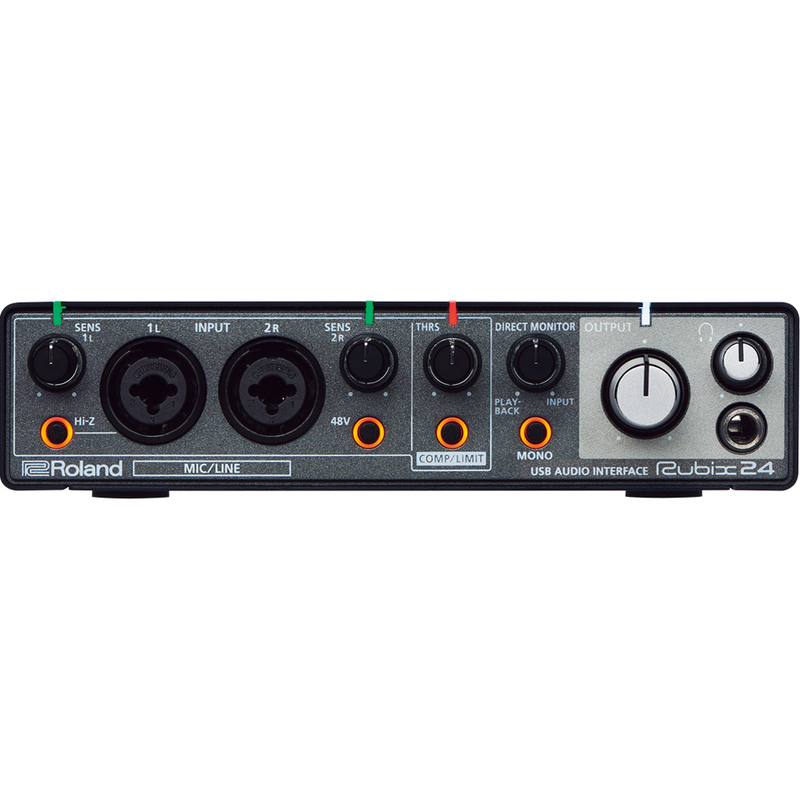 This is useful for sending a click track to a performer, setting up a stage monitor, or routing audio to external gear. Highly dynamic sources like vocalists and percussion instruments often need taming, especially when recording on location. Dynamics processors help ensure a good hot signal without clipping and causing unwanted distortion. Rubix 24's built-on compressor/limiter provides peace of mind in the heat of a recording session. Studios and stages can be dark places, and getting proper levels is critical. You want to focus on the performance, not on small, hard-to-see clip and level indicators from across the room. Rubix 24 has highly visible indicators that are an integral part of its design. They clearly show if a channel has incoming signal, or if you’re going to overload, even from a distance. Rubix 24 is ultra-portable and ultra-flexible. It has low latency class compliant drivers for Mac and PC, so it's simple to get up and running with smooth, reliable audio performance. And it also supports iPad giving you an extremely compact system for on-location recording, on-the-go production, or live performance. 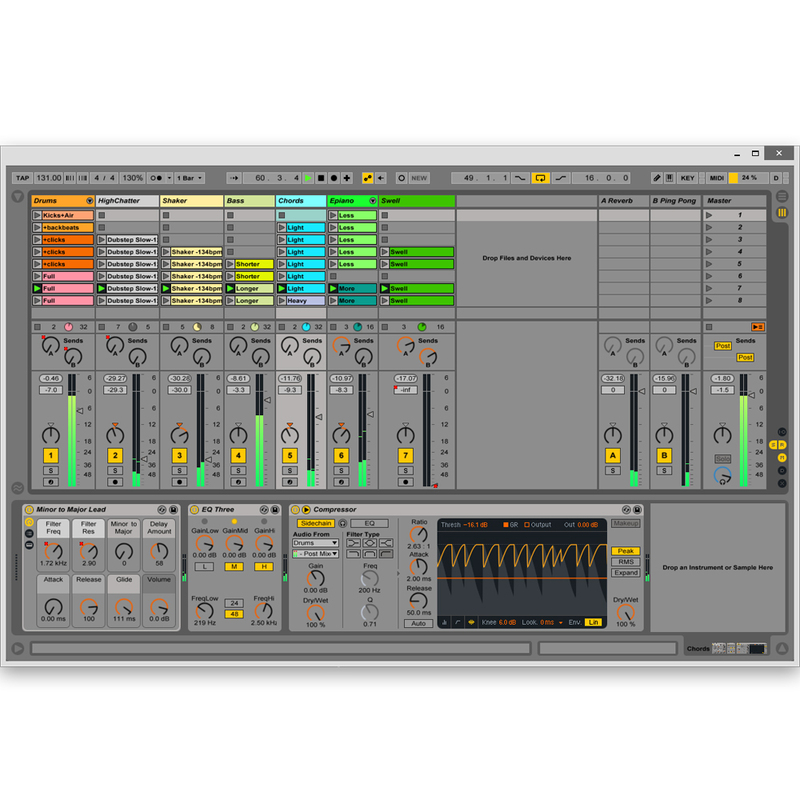 It even includes Ableton Live Lite, powerful studio production and live performance software that works perfectly with Rubix 24, right out of the box. *1 Current value per channel. Leaflet "USING THE UNIT SAFELY"
We offer free delivery on all of our items (UK mainland only) please see details below. *Applies to instock items. Orders placed after 4pm will be dispatched the following working day, next day delivery does not include Saturday or Sundays. Some services are only available to UK mainland addresses. Jersey and Guernsey are also VAT exempt, so 20% will automatically be knocked off when selecting your country in the basket or checkout. Pre 10am, 12am and named day delivery options are available in the basket, simply enter your postcode for an accurate price. We ship to most european destinations, simply choose your country and the correct price will show up in the basket. Delivery times range from 2-4 days, 4-9 for remote areas. Read more about our delivery here. Our returns system is easy, you have the right to cancel an order up to 14 days, please check our full returns policy here. If you have seen one of our products cheaper elsewhere, let us know! We will check it out and either match or beat the price. Simply fill in the following form and click 'Submit' to send it to our staff. At The Disc DJ Store all products are brand new, in stock & ready to ship. In the unlikely event we are out of stock of a certain product we will advise you and if requested will offer a full refund within 24 hours. VAT No: 825 5102 53. All prices include 20% VAT.